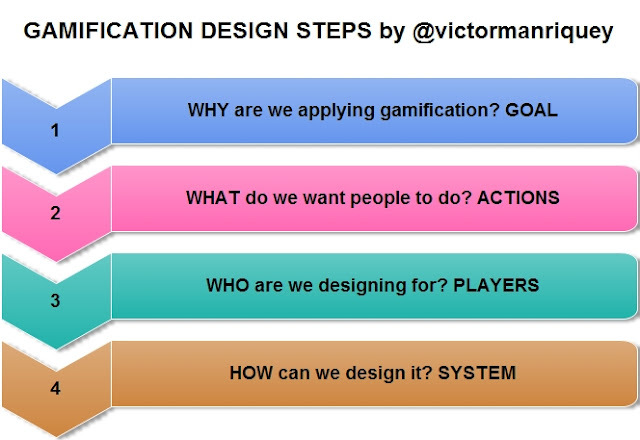 Gamification is a design experience to happiness and motivation. We should never forget that Design is Gamification´s biggest challenge and where all its power lies, like a double-edged sword. So design matters, and it is the difference between another PBL system and a great gamified experience. There are many books, articles and case studies about why design is one of the most important things to take into account and for sure we could be hours talking about it. I’m not an expert design thinker but if as me, you just want to get some great insights and key points about it, I recommend Tom Kelley´s books on design (http://www.amazon.com/Art-Innovation-Lessons-Creativity-Americas/dp/0385499841). He is the CEO of IDEO, the number one company in design thinking, and some years ago we had the chance to visit their HQ in Silicon Valley. Here is a picture about the first Apple mouse. 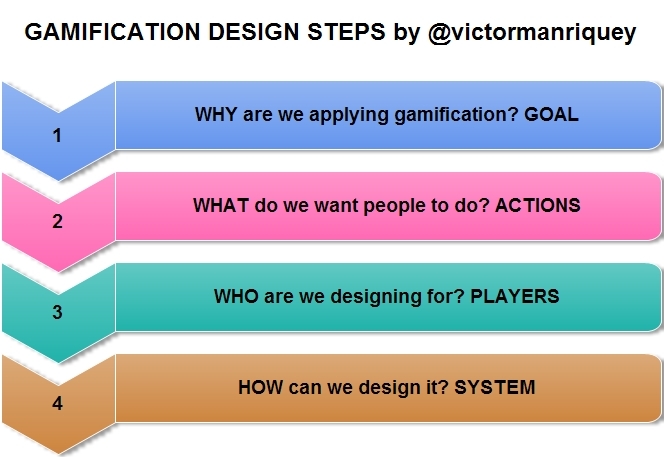 But getting back to Gamification, how do we start? First of all, we should start thinking as a game designer and as a game designer; our main goal is to deliver an awesome experience. OK, I know I know, Gamification is not a game, but since we are going to use stuff like mechanics, aesthetics or storytelling, let’s all pretend we are Blizzard’s number one designer for now! But what do you mean with delivering an experience? How can I do it? Whether you just arrived to the blog, or you already are an expert gamifier, it’s always good to refresh some Gamification basics. Why not having a look at some key points? Now we are ready to go! 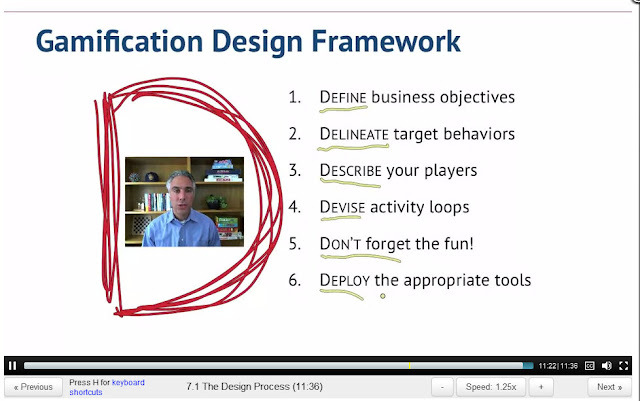 Let’s get into the thrilling world of Gamification design! 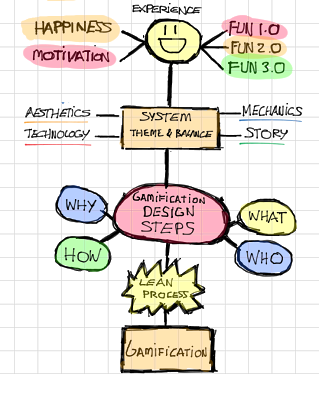 Even before starting with a new (actually, extended is more accurate) Gamification design framework, we should have a look at what I consider one of the best and most complete tools for designing, Professor Werbach´s Gamification design framework, also called “The 6 Ds”. For those who still don’t know Kevin (@kwerb), this is a hangout we did some days ago, with great content and a superb explanation of his 6 Ds model. So you made it down here! Great! I hope I could convince you to do two things: consider yourself the number one game designer of the whole industry (OK, just Blizzard or Roxio are great too) and start considering design as the most important part of Gamification! Now we are ready to get into the 4 Questions model, an extended version of Prof. Werbach´s 6 “Ds”. So what is that 4 Qs framework and how does it help me? The 4 Qs model is an iterative process to design great gamified experiences to fun, happiness and motivation and it can be used for both internal and external Gamification, with an individual or community focus, and in overall, within any Gamification context. WHAT? Once we have settled our Gamification Goal, it’s time to do something about it, see what we are encouraging our player to do. So in order to achieve our goal, the players will have to take some actions. Following the example, if as a business we want to sell more, some of the actions we may foster through Gamification might be just buying more (direct), promote our brand or create a community (indirect), offer special events (indirect), etc. WHO? We all have users, clients, customers, students, etc. Those are our players, and they are different, with different motivations. (See my post on Gamasutra about it here: LINK). We should get what I call “internal” and “external” feedback (from inside and outside the company) in order to know more about them. And a really important point, the more types of players we can encourage to use our system, the better! 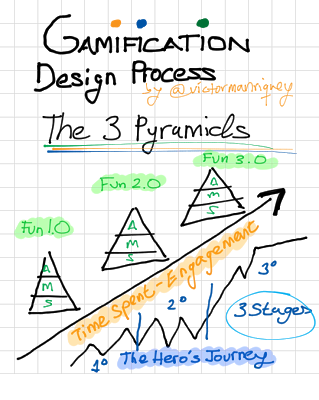 Basically, and to put it simple (I’ll explain it very soon in further detail) we are going to divide our design process into 3 stages in time. Each frame will focus on a type of player (not forgetting the others) applying story, mechanics and aesthetics as “game elements”. 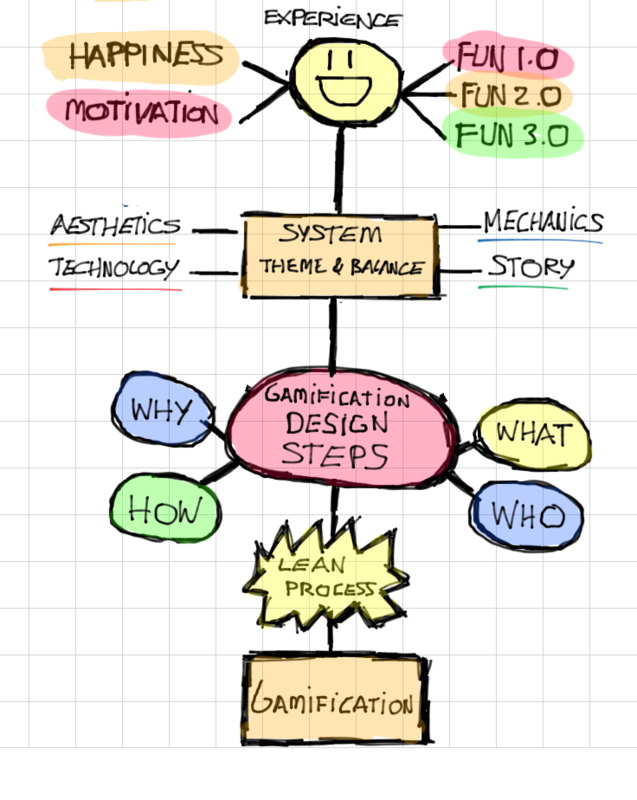 We have just started with Gamification´s design process and I’m sure you want to join me in this amazing trip to the cores of fun, happiness and motivation!!! But that will be in our next post!! Same problem as with prof. Werbachs' 6D's framework. I already have two projects done (as a project lead and consultant) and I do strongly recommened to firstly find out who, then what. There is no doubt that goal (business in particullar) is the top priority, but then there is an enviroment - already existing systems, people specifics. 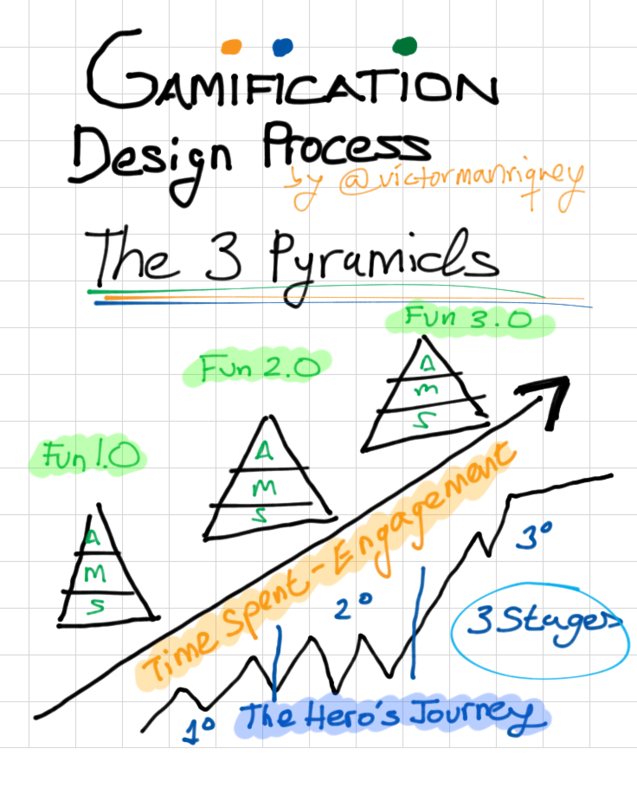 This are all boundries that you not only can observe, but you have to notify before even sitting to detailes solution id. Otherwise, you might figure out a great, bodied design for gamified system that simply wouldn't be able to be implemented due to different limitations. Also, Prof. Werbach and i talked the other day and he said something very interesting about the players, like: we shouldn´t focus everything on a type of player but try to foster all of them in our system" which i think it´s a great point of view, just not to put all weight of the design on our "player guessings"